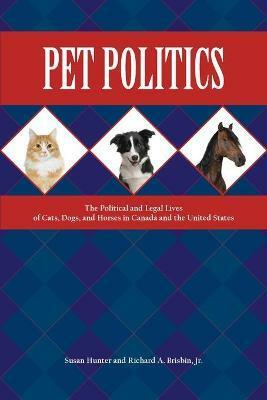 Although scholars in the disciplines of law, psychology, philosophy, and sociology have published a considerable number of prescriptive, normative, and theoretical studies of animals in society, Pet Politics presents the first study of the development of companion animal or pet law and policy in Canada and the United States by political scientists. The authors examine how people and governments classify three species of pets or companion animals-cats, dogs, and horses-for various degrees of legal protection. They then detail how interest groups shape the agenda for companion animal legislation and regulation, and the legislative and administrative formulation of anticruelty, kennel licensing, horse slaughter, feral and roaming cat, and breed ban policies. Finally, they examine the enforcement of these laws and policies by agencies and the courts. Using an eclectic mix of original empirical data, original case studies, and interviews-and relying on general theories and research about the policy process and the sociopolitical function of legality-the authors illustrate that pet policy is a unique field of political struggle, a conflict that originates from differing perspectives about whether pets are property or autonomous beings, and clashing norms about the care of animals. The result of the political struggle, the authors argue, is difficulty in the enactment of policies and especially in the implementation and enforcement of laws that might improve the welfare of companion animals. Susan Hunter is associate professor emerita of political science at West Virginia University, USA. She received her PhD from the Ohio State University. Hunter's teaching and research fields have included contemporary political theory, public policy evaluation, environmental and energy policy, comparative land use policy, animal law and policy, and the politics of civic engagement. Currently president of the Monongalia County Humane Society, she is active in the rescue of Boston terriers and the fostering of abandoned dogs. Richard A. Brisbin, Jr is professor emeritus of political science at West Virginia University, USA. He received his PhD from Johns Hopkins University. He previously served as editor of the Law and Politics Book Review. In 1997 he received the Franklin L. Burdette Pi Sigma Alpha Award for the best paper presented at the 1996 American Political Science Association meeting, and in 2003 he was recipient of West Virginia University's notable Benedum Distinguished Researcher Award.